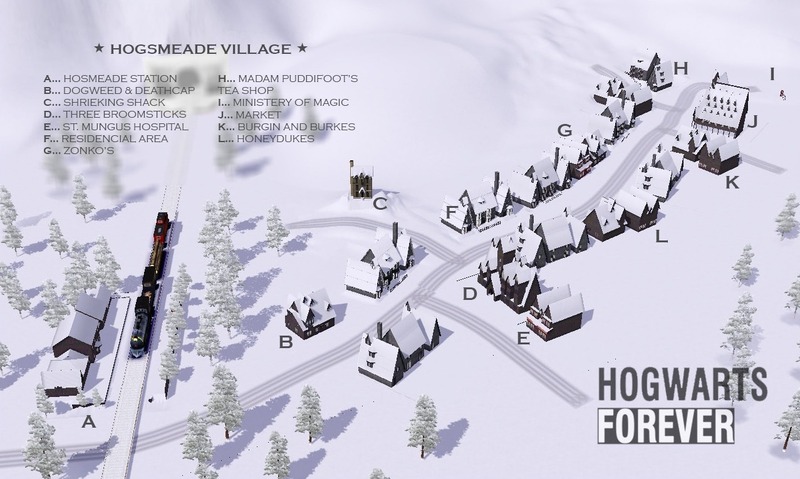 Three Broomsticks and Madam Puddifoot's tea store. HoneyDukes where you can buy any thing you want. Zonko's where you can buy relics from all over the world. in this Market, with a lot of tents where your sims can have fun! In Hogwarts Castle I've fixed too the accessibilities among the diverse spaces: now it's really easy walk on the castle and live inside it! is the Grand Staircase, where are the common rooms, hospital wing and Prefect's Bathroom. You can live also in Hagrid's Hut!! is the Great Hall, where you can cook at the kitchens and eat in the Great Hall. is the Classrooms Area, where you can learn all the skills - if you have Supernatural expansion pack, of course, you can learn magic in Charms, Transfiguration and Potions Classrooms, and create magic plants in Herbology GreenHouses. And attention!! Here is also the entrance to the Chamber of Secrets! Can you find it? To download this world you need Sims 3 World Adventures + Seasons Pack. 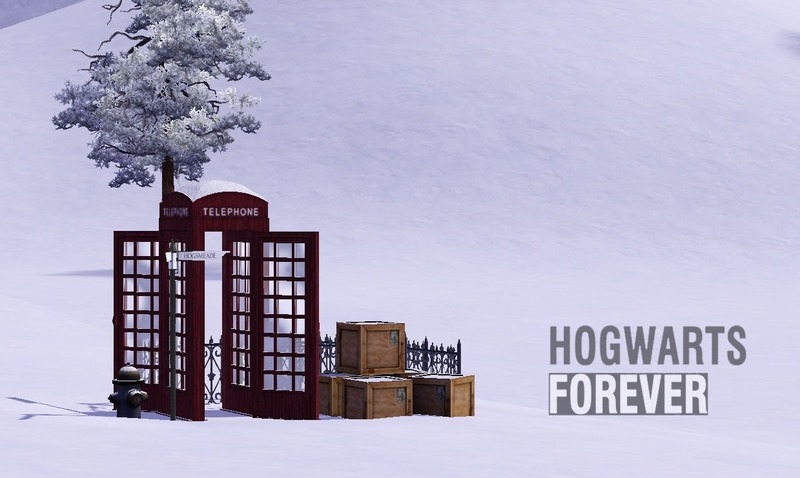 IF YOU PREFER, you can choose a second version of Hogwarts Forever for Supernatural + World Adventures + Seasons. Of course this is a most complete way to enjoy this Harry Potter world: in this versions, lots of magical objects were added to all lots!! Small problem. Every time I try to go to edit town I crash to desktop. I have all the EPs needed and I followed the installation instructions to the letter. I have the same exact problem as well- has anyone fixed this issue? Same problem here, I know the problem are in the save but I don't know how to solve this. What EPs do I need? I had whats written and then I saw an item which requiress fast lane stuff. I can´t install it can anybody help me? After it loads it will ask if you want to move the family, select NO. Then it will ask if you want to place lots, select NO. It should load just fine after that. If it still crashes, considering lowering your graphics settings and restarting the game. The builder has unfinished ends the world in CAW and completed in the game. Hello, your world can be loaded, but it can not save itself. You could have the world better completed in CAW. The Savegame does not really work. I wanted to start with a small project of your world. But that is nothing. The world itself can be loaded, but it is largely empty. Do you have any idea how to deal with that? Can't I just copy the items from the mods folder to my mods folder? I already have mods I use, I don't want to be forced to get rid of them. It's very disappointing that this world crashes every time you want to edit town. Most people like the option to move other sims into the town. If you load the save file, more buildings are available e.g. Hagrids Hut. If you load as a new world, the town is practically empty! I love the graphics of this world and wished to copy an HP RP Second Life sim with it, but nope, does not work :< . I have all EPs, SPs and recent updates. Would love an update on this world as no save cleaning or anything made it work. 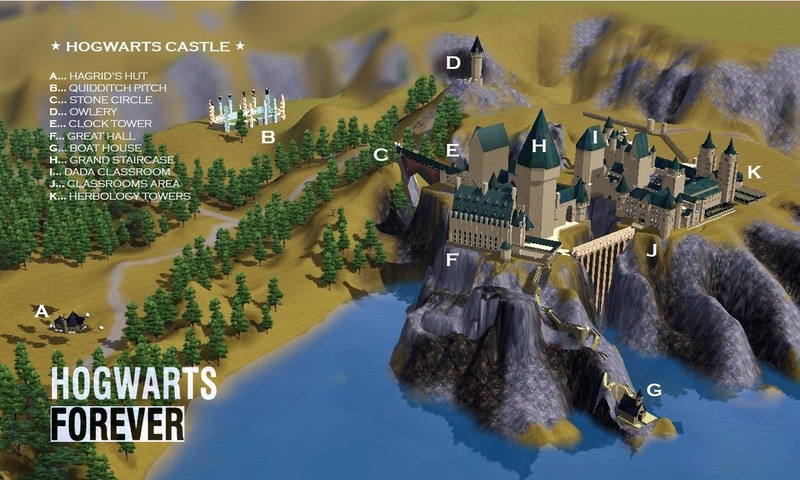 It is the best Hogwarts around, be it Sims 1 or 4. Would be grateful if someone (not even the creator), made it work. I couldn't get this to work, it's a shame because it looks like a lot of work and passion went into this! btw where am I meant to put the nav.bin file located in the downloads folder? Judging by the comments it seems they have given up on working on this world. What a shame. I have designed one, the best I could, in Sims 4 but was really looking forward to this Sims 3 option.